One of the best, and easiest, tools for building an ongoing relationship with your readers is a blog. It's that place you send all of your Twitter followers, Facebook friends, and YouTube subscribers to, so that they can get to know you and your book better. Blogging regularly (at least three times a week) can be a challenge, especially when added to the 1,001 other tasks that are required of you as a writer, yet it's well worth the effort. However, I don't believe in "shoulds," as life will have its way with you. So be gentle with yourself on this journey, and simply do the best you can. 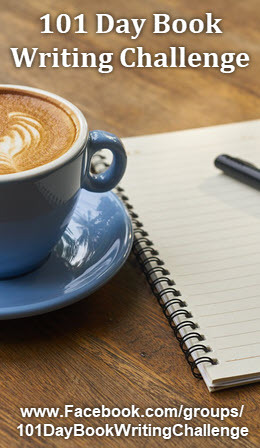 To make it a little easier during those times when you're so busy that it's hard to focus, or your brain decides to put itself on pause, it's good to have a Blog Topic list prepared with at least 25 to 50 ideas on it. Then all you have to do is pick a topic and write a few hundred words on it, or dash off a quick video. To help you brainstorm your Blog Topic list, here are 5 keys that will keep your blog posts focused on building relationships and promoting your book. If you brainstorm 5 to 10 ideas for each key, you'll have 25 to 50 blog post ideas that you can save for a rainy day, or use to create a daily or weekly blog writing habit. First and foremost your blog is about your readers. Without catching and keeping their interest they won't stay on your blog long enough to get to know you, and grow their desire to read your book. Create a contest. The contest can be used to win your book, or if your book isn't finished, yet, to win another book (or something else) that would be of interest to your ideal reader. This is a great way to introduce people to you, your blog, and your book. Start a writing challenge. In addition to engaging your readers, if you suggest that they post their response on their own blog and link back to you, you'll end up with a lot of incoming links, which will help your blog's SEO. Ask a question. One of the easiest ways to engage your readers is to simply ask them a question. The question can be at the end of your post, asking for a response to what you've written, or for the reader's own experience of the subject, or you can write a post that's about a particular question, such as, "How do you…?" Or "What do you think about…?" Or "Why doesn't anyone… anymore? Whether your book is fiction or non-fiction, there will always be plenty to blog about that will both interest someone enough to read your book, and deepen a reader's experience of your book. Themes. What are the themes that you've woven into your novel? Why did you choose them? What interests or intrigues you about them? Characters. Help your blog readers get to know your characters. Did you do any exploratory writing that you could post to the blog? What's a character's most intriguing, endearing, or annoying trait? Inspiration. One of the most frequently asked questions a writer gets is, "Where do you get your ideas?" What inspired this novel? What idea or incident sparked your imagination? Tips. Give you best tips away! When you share information that changes your reader's lives, that answers a question, solves a problem, shows an easier way to do something, or gives your readers what they need to succeed, they will want to buy your book. Tools. The tools can be yours, or someone else's. Don't be afraid to look beyond your own book for tools that will help your readers. If you're the one who leads them to something helpful, they'll come back to you for more. Exercises. 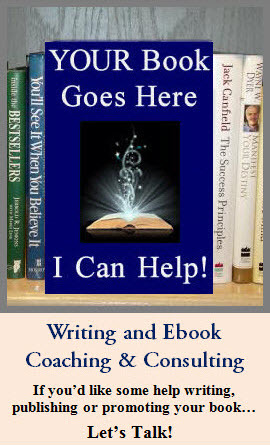 Help people apply the principles in your book. An exercise can both show the power of what's in your book, for those who haven't read it yet, and help someone who's read your book take your material to a deeper level. Research. You've probably got lots of research that supports the book, but didn't go in it. Share some of it with your blog readers. Excerpts. Whether you use a chapter or two as an opt-in offer to get people on your email list, or you simply post an excerpt on your blog, nothing interests a reader in your book more than giving them a taste of the actual book. Your genre, or book topic, is more than a guide for bookstore placement, it tells you a lot about your reader's interests. Use that knowledge to generate blog content that will attract and interest your ideal readers. History of your genre/subgenre. How did this genre begin? Who were the first authors? What distinguishes this genre from any other? Elements of your genre/subgenre. What makes your mystery a "cozy," while another is a "police procedural?" What elements are you required to include in your book for it to be considered that genre? How have other authors changed or expanded the genre? Topics of interest to your genre/subgenre. What are some of the broader topics that might be of interest to your genre's readers? If you write time travel novels, your readers might be interested in science that addresses the question of time. History of your topic. If you're writing about a specific religion, what are the roots of that religion? How does it relate to other religions? Elements of your topic. What are the assumptions, practices, limitations of your topic? How have others approached it? How is your approach new? News about your topic. What's happening in the world, right now, regarding your topic? How can you relate your topic to current events? John Kremer, the author of "1,001 Ways to Market Your Books," says that "Marketing is relationships. Selling books is about making friends." You're creating a relationship with your readers no matter what topic you're blogging about, but when the subject is you, you're taking the relationship to a deeper level. This is the place for you to share your journey, be seen, and shine. Writing your book. What surprised you as you wrote the book? What did you discover about yourself, your characters, or your topic? How has this book changed you? The writing life. When did you start writing? What do you love about writing? Have you already started your next book? What was the publishing journey like? What did you learn? What can you share with other writers? Announcements. Are you doing readings, classes, or blog talk radio? Link to book reviews. Will you be speaking at any events? Your personal life. While it's fine to share personal information in your blog, as it helps build relationships, either weave it into topic based posts or relate personal posts to the writing life. This helps keep your blog tightly focused. What's happening in your life that would be of interest to your readers? Whether you've written your first book or your fifth, highlighting other authors of interest to your audience is a way to both give value to your readers, and to attract readers who might not know you, yet, but are fans of the author you're highlighting. Reviews. Review books by other authors in your genre. What books outside your genre would your readers be interested in? Interviews. Doing written or audio interviews with other authors serves both them and you. But it especially serves your readers. Who would you like to interview? Who do you think your readers would like to hear from? Guest blog posts. Not only does a guest blog post save you a little writing time, but it gives your readers another point of view. Who would you like to have as a guest poster? Whose blog would you like to write a guest post for? I hope your Blog Topic list is now overflowing with ideas. Remember, this is your blog, your book, and your voice, but balance is the key. A balance between your needs and your readers' needs. A balance between what you want to say, and what they want to hear. A balance between being interesting and informative, and promoting your book and services. And above all, a balance between doing what's required for promotion, and enjoying the ride.